Preppy Pink Crocodile: Is Paula Deen A Racist? 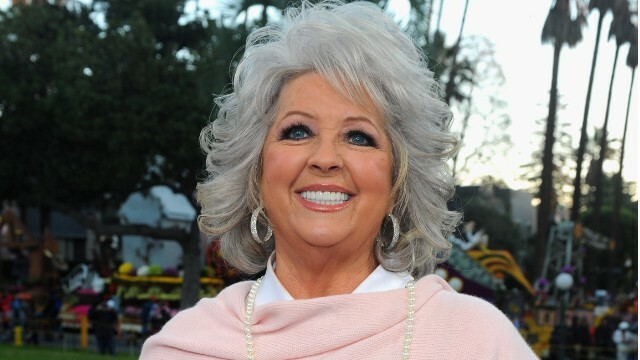 Honestly, I was shocked when I first heard the headlines about Paula Deen being a racist. But tip to tail, every news source and blog and Facebook rant said it was true that Paula was in hot water again. So it had to be true, right? Then I read the transcript that lead to this "truth" in the Huffington Post. Or I read whatever they made available to me to read a week ago. And now I sit bewildered at what the buzz is all about. Perhaps there's more I've not read? If you know me in real life, you know it takes VERY VERY little for me to get bent waaaaay out of shape over things like this. I am passionate about equality! So for me to say, who cares, should mean something. So she admits that in the 60's she used the n word as that was the culture in the South at that point in time. She was very open about that. She also talks about the wedding where she had black servers dress up in white time because she thought it looks beautiful. She didn't say (at least not in the transcript that I read) that she wanted them to be slaves. She just said it was reminiscent of a historical time period. Could that be crossing a line? Maybe. Maybe. But I think that's sort of pushing it. Her son's speak out here. Unless there is more that I just don't know about, I think this is such a non-story and feel so badly that she lost her job over admitting to using a word 50 years ago. I'd much rather see a story on why women are STILL bloody fighting for equal rights (hello NY and TX!) or why the n word is still in rampant use in urban cultures (come sit in my office and you will hear it used outside my window every hour of the day). THOSE are stories. Some old lady who likes bacon and butter saying she hasn't use a word in decades, is not. I agree with you whole heartedly and cannot understand the fuss. I loathe racism and inequality too but I think people are judging her in the current for something that was way in the past. Political correctness had changed everything. The standard of the time was different. Her words and actions were still wrong then. But she should not be punished for it so severely now. My big issue is that when asked if she ever used that word, under oath, she said "Of Course." And not a simple Yes. Of Course comes off as if it's common place vocabulary for her. I think she really should apologize, stop talking, and leave the spotlight for a while. I agree!! They just need to leave her alone. I know many, many more people more racist than her and yes, we have much bigger issues to worry about than a Foodnetwork celeb saying a derogatory word. Heck, they need to go after all of the MTV shows that are helping turn our young girls into hoochie mamas (haha yes I just used that term! ).